Ok so I have started some of the practice questions for me QoS exam at the end of Feb. 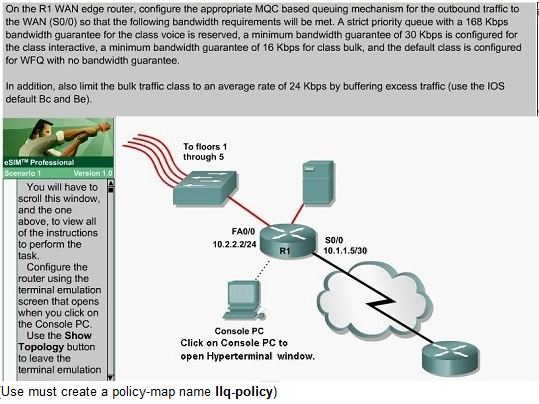 I came across a good lab style question which I decided to answer using Cisco Packet Tracer. Which I believe is correct for the requirement. One of the key points was the question specifies a ‘strict priority queue’ for voice. Therefore you must use the priority command in the policy to enable LLQ. Everything else was fairly straight forward.